There’s a spot just behind the Alhambra where you can witness the friendly commingling of Jews, Christians, and Muslims and, except for a barking dog or a braying donkey in the valley below, the surrounding stillness will put you at peace as well. Go a little farther to gaze upon the magnificent Sierra Nevadas that are ruled by mighty Mulhacén at 3,480 meters (11,417′), same as they once were when the mountain’s namesake king ruled Andalusia in the 15th century. 1-day rides or multi-day tours take you on the most iconic routes in the province of Granada and beyond. All rides start from Granada. Multi-day tours include a visit to the Alhambra Palace, a ride up the highest cyclable climb in Europe (weather permitting), and a separate food itinerary to show off the region’s distinct agricultural abundance. Join us for an excursion backward into history to see remnants of the region’s past rulers and some of the reasons why the territory was worth fighting for. This all-inclusive, casual ride invites you to engage in the artifacts and anecdotes that prop up the Alhambra’s storied past by using the bike as the vehicle to transport you there. Earn the right to claim you’ve ridden up Europe’s highest cyclable climb on this challenging 1-day road or partially off-road ride to the peak of Veleta at 3,479 m (11,413 ft). For accepting this challenge, your efforts will will be well-supported with freshly-made ride food and lunch, plus each finisher will receive a small souvenir for completing the ride. There’s a reason why professional bike racers choose Granada for their training ground, both in and out-of-season — this ride could very well be it. This road ride starts in Granada and travels south to the Mediterranean by way of rural roads with scarce traffic. Ride lasts between 4 and 5 hours, includes lunch at finish plus a chance for a little beach time (weather permitting), and return by shuttle to Granada. What’s included? 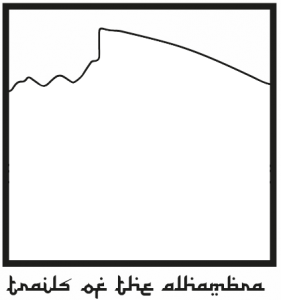 Bike rental including helmet and water bottle; guide; freshly-prepared ride food; lunch at destination; return transportation to Granada; a point-to-point ride on one of the quietest, most beautiful roads in Andalusia. In addition to the postcard backdrops that make Granada a cyclist’s paradise, this 3-day trip offers several historical cues to help you ride your own tale. From a visit to the famed Alhambra palace to a ride up the “ice route,” which — once upon a time — was used to bring ice from the mountains to the city, expect to have an experience that’s different from anything else offered in Granada. 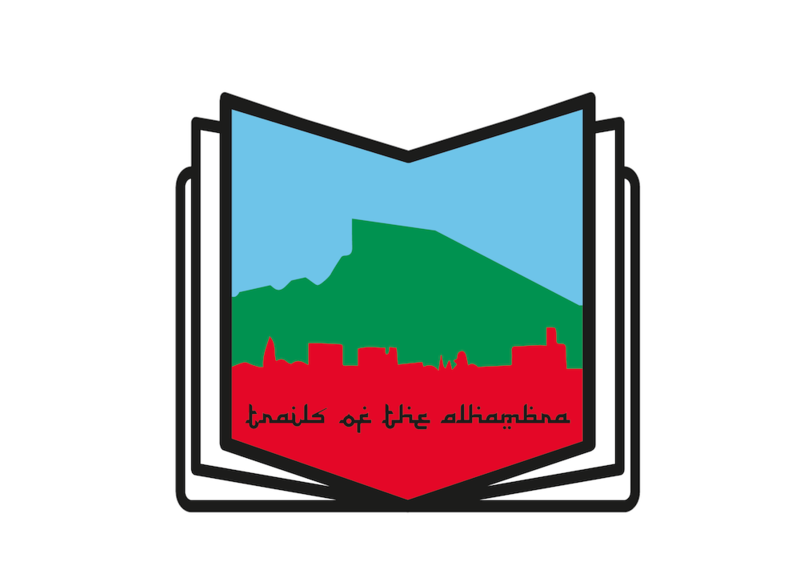 Breakfast • Travel the “ice route” on your way toward the highest cyclable peak in Europe (shorter options available) • Lunch en route • Return bikes at hotel • Dinner at an authentic “carmen” featuring the distinct tastes of the Albaicin. Take this trip if you want to put life back into your days and days back into your life. In addition to the experiences you’ll gain by visiting and riding the most-visited monuments in Spain, your trip to Granada will last far longer than the vacation itself since you will learn how to train the correct way from our partners at the American Sport Training Center of Granada. Take your new skills home with you and put them into practice every day; your improved health will be your ticket to future adventures! Breakfast • Active recovery session followed by an easy spin • Return bikes at hotel • Lunch at hotel • Dinner on your own. You become the author of your own ride experience — we’ll help you develop the storyline to ride your own tale by supplying bikes and accessories, guides, route suggestions including highlights and attractions, a personalized food itinerary, coaching services (both pre and post-ride, as desired), and transportation. You choose how far you want to go and for how many days, and when it takes place. Our team of professionals can tailor a tour to your every need. You can decide on a leisurely excursion backward into history to see remnants of the clashing factions that once ruled Andalusia, or you can opt for an achievement ride that will award you the right to claim that you’ve ridden Europe’s highest cyclable climb. Choose a point-to-point destination ride and we’ll plan the route, organize hotel and restaurant reservations, plus provide return transportation to the point of origin. This isn’t just a so-called “guided ride,” this is your experience — your tale to tell so tell us what you want and we’ll work with you to get that. If your interest is piqued, just send us an email detailing what you would like and we’ll reply with a trip proposal within 48 hours. To keep the conversation going, once we’ve agreed on the trip details and price to your satisfaction, we will privately post your exclusive trip to our booking portal and send you the link to complete the booking. Award-winning Spain blogger, Molly Piccavey, provides practical, genuine, and updated information to readers seeking tips that may not appear in guidebooks or travel magazines. The American Sport Training Center of Granada teaches you to "train the correct way" to build a lasting foundation for your fitness. Centrally-located Bicicletas la Estación serves the cycling needs of locals and tourists alike. 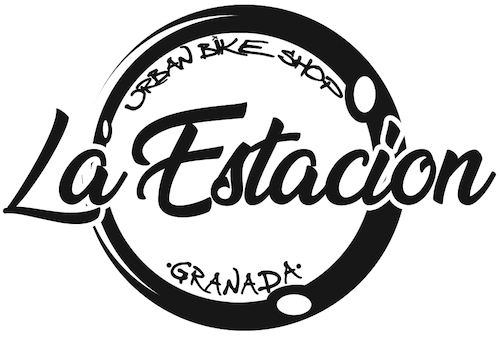 There's no other bike shop like it in Granada. 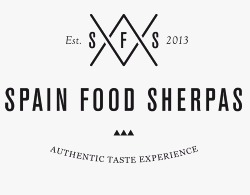 Spain Food Sherpas' Taste of Granada Food Tour gives food lovers the opportunity to discover the traditional products, dishes and hidden treasures of Granada. Travel is the great equalizer (and educator) so let these four destinations that aren’t Whistler, Moab, or Andorra light a spark to get that desire to travel burning. 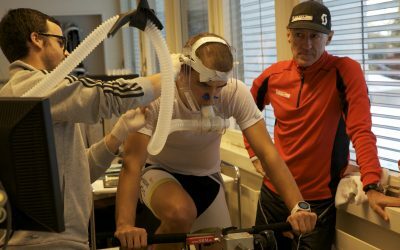 This was published to the Ritchey blog with help from Thomas Frischknecht and Jimena Florit. Standing there at the start of a race, one foot on the ground, the other one resting on your pedal, cocked at 3 o’clock and ready to attack at the gun, you wonder, could you have prepared better? When Ritchey asked for some blog ideas, we offered a few that we thought would resonate with their customers. 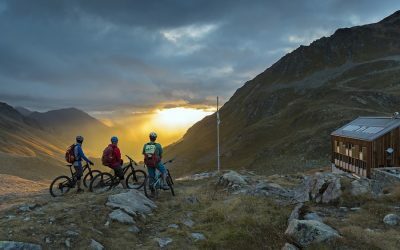 Mountain bike tourism is especially on the rise in Switzerland, Italy, Austria and elsewhere, and the hospitality industries there are coming up with amenities and resources specifically tailored to two-wheeled tourists. Water (and sunblock) more than anything else wields mighty power in Granada, probably owing to summertime temperatures that often soar above 35C/95F. 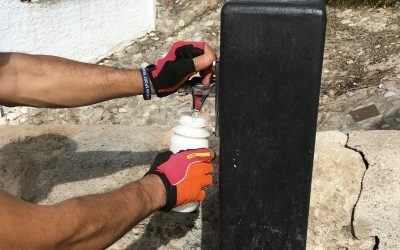 Luckily abundant public water fountains are a nice perk to riding around Granada so you can go forth fearlessly on that 4-, 6-, or even 10-hour ride, your hydration requirements will be met. If climbing is your thing, then Granada is your sweet spot. As with most mountain bike or road rides here, this ride allows you to dial up or down the suffering depending on how you feel that day. The main features of this circular loop include an 8.5 km (5.3 mi.) dirt climb with a grade that ranges between 4.5 and 15%, and another shorter paved climb that tops out at 31% at its steepest part and then heads into some tricky — sometimes hike-a-bike singletrack for 2 km (1.3 mi). 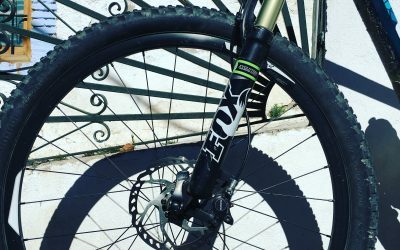 Conoce Granada en bici ¡Únete a nosotros! 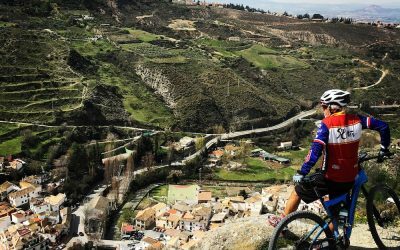 “Conoce Granada en bici” son salidas mensuales en mountain bike, presentadas por American Sport Training Center, tu entrenador personal en Granada. 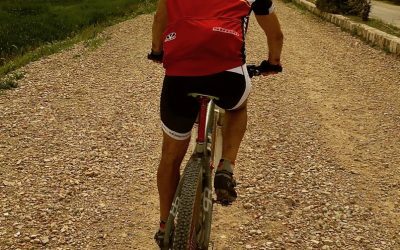 Os invitamos a salir en bicicleta de montaña el último sábado del mes con la intención de combinar un pequeño entrenamiento con diversión al aire libre. Incluso, para ellos que quieran, podemos practicar un poquito el inglés. ¡Únete a nosotros! Come “Ride your tale” with us! Among other perks, guided bike rides succeed in lifting the headache of dealing with your own logistics when dropping into an unfamiliar place. Riding a bike is a form of self-expression so it makes sense to offer options that are compatible with individual preferences. 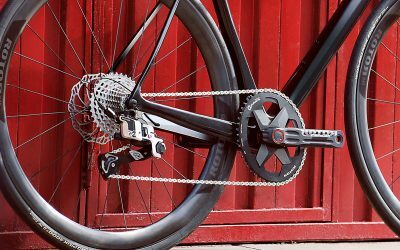 To achieve this, we designed three 1-day trips, one 3-day trip, and one 5-day trip that serve up mountain bike, gravel bike, and road bike rides. We also invite you to “Ride Your Own Tale” with an option to customize a bike trip to your specific criteria. In sharp contrast to the 24/7, 365 culture in the US, most stores in Andalusia are closed Saturday afternoon until Monday morning. 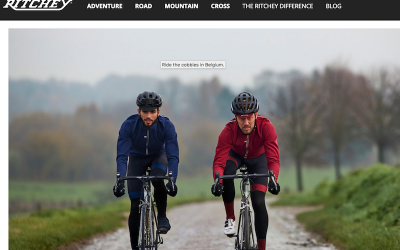 This has a nice way of forcing you to get your shopping done on Saturday, which leaves all of Sunday to go mountain biking or gravel riding in southern Spain. The vendors who really have a good thing going set their own hours, like the permanent pop-up bread kiosk in Plaza Mariana Pineda in the center of Granda. People don’t seem to complain about their limited hours — that’s not a war to be waged.